Don Hein of Little Cakes Cupcake Kitchen (and brother of David Hein) talks about winning Cupcake Wars twice. Nicolo Melli (right) speaks about Milan’s hopes to finally win a Serie A title again. 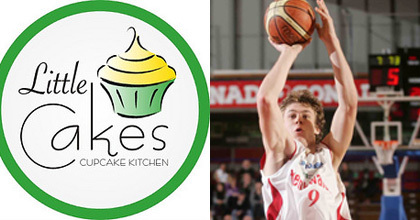 Taking The Charge Podcast Episode 61: Os Davis of BallinEurope and Dave of heinnews talk about the Euroleague and Serie A with Nicolo Melli and reality television with two-time Cupcake Wars winner Don Hein – yeah, that’s Dave’s brothers – from the Little Cakes Cupcake Kitchen. For our “Movie” of the Week, we watched two episodes of Cupcake Wars.